Nestled in the Andes mountains of Venezuela . . . I learned to repair shoes from my parents when I was growing up far away from here in the lush Andes mountains of Venezuela. In the eastern part of this beautiful country nestled in the mountains is an old-fashioned town named Merida. My parents are professional shoemakers with more than 35 years of experience in the shoe business. I thank them for their tremendous efforts that allowed them to support all 8 of my brothers and sisters. It was through helping my parents in the town of Merida, in the heart of the Andes that I learned how to repair shoes. It was in this special place that I fell in love with the mountains and became a professional mountain guide. I have been climbing for over 25 years and I know the value of a good pair of climbing shoes. 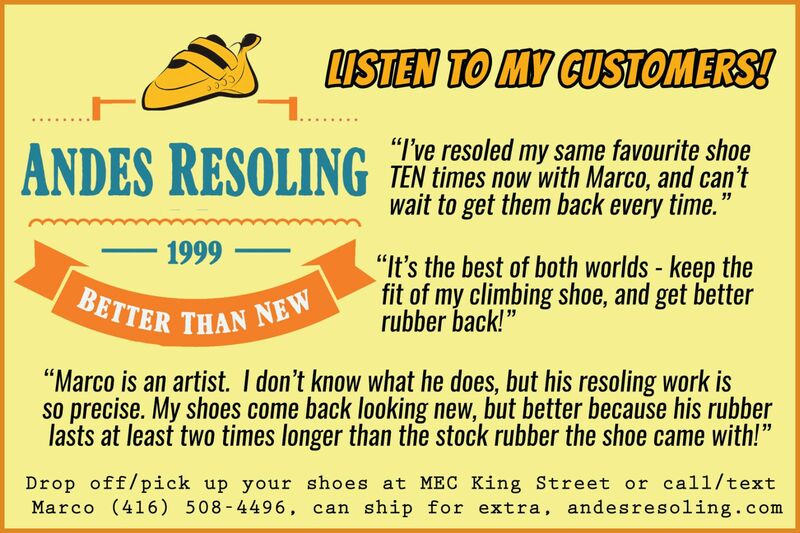 My customers know that I painstakingly hand-repair all my shoes. My work is precise, and the Stealth C4 rubber I use is long lasting and sticky. You will have the best of both worlds – soles that last longer than before and the comfortable fit of your shoe. I pride myself on repairing shoes so that they are BETTER THAN NEW! I have satisfied several hundred customers in the Greater Toronto Area. I invite you to be the next! 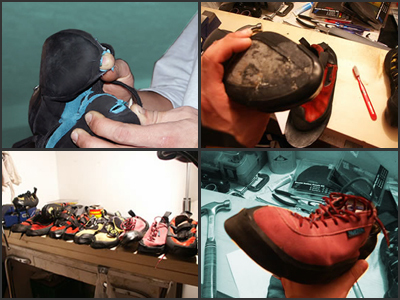 Climbing shoes often wear most quickly at the toe and in portions of the midsole. 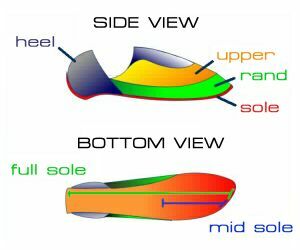 Almost all of the resoling done to date by Andes has involved resoling some portion of the midsole and toe. It’s highly recommended that resoling be done before you have a hole in the rand. Below is a sample of some of the work I do. 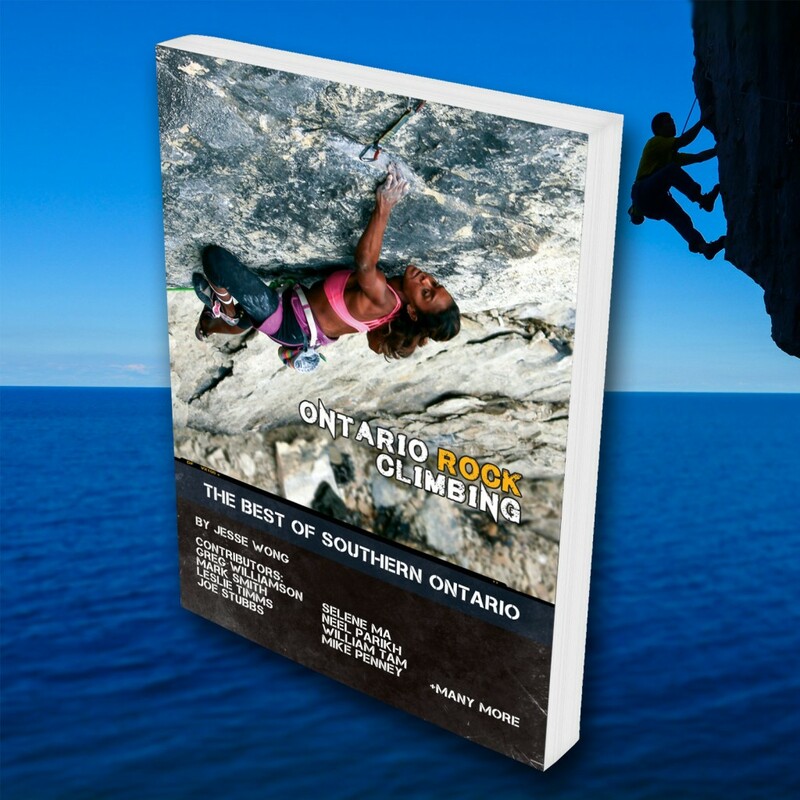 Check out my friend’s beautiful Ontario Rock Climbing guidebook!